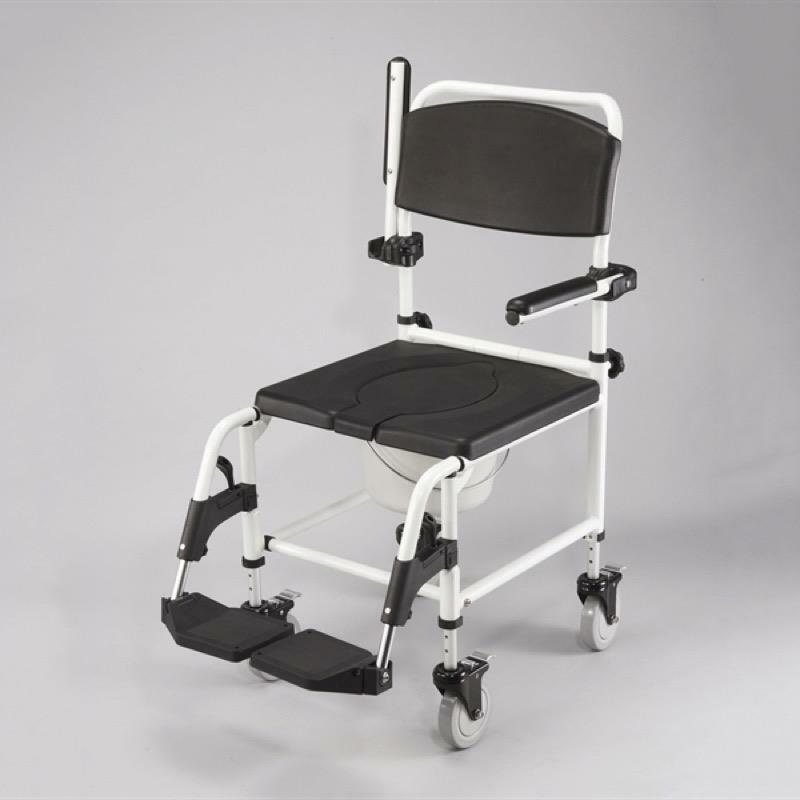 The Shower Commode Chair is extremely versatile as it can be used as either a shower chair, commode or over toilet pedestal. The soft polyurethane moulded seat offers comfort and warmth and features a clip-on mechanism making daily cleaning easy. The flip-up armrests allow for easy transfer and the unit is housed on four aluminium 5" castors. Both Selp Propelled and Attendant options available. Wheelkit can be purchased separately to transform attendant version into self propelled.